Tim Binnall is the founder of the paranormal think tank Binnall of America, an online coterie that features both an audio program and a talented staff of writers. As host and producer of the critically acclaimed podcast BoA:Audio, he has interviewed a vast array of researchers, spanning a wide spectrum of disciplines and ranging from bona fide esoteric icons to up-and-coming future players in the paranormal milieu. 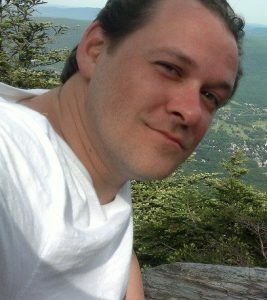 A graduate of Syracuse University, Binnall has maintained an outsider’s perspective on the paranormal world, and possesses a keen interest in the personalities and sociology of esoteric studies. He has written for Coast to Coast AM‘s After Dark magazine, made numerous radio appearances, and gone into the field to explore the mystifying Bridgewater Triangle in Massachusetts, the elusive Oak Island in Nova Scotia, and the haunted Whaley House in San Diego. Over the last few years, one genre of esoterica has inexplicably exploded in popularity and media coverage: the Flat Earth “Theory”. From celebrity endorsements and thriving online communities to a bizarre “ad campaign”, and a convention that drew hundreds of people from around the proverbial two-dimensional world, Flat Earth fandom is an all time high. Tim Binnall will examine how and, perhaps more importantly why, in humanity’s most technologically advanced age, this subculture of pre-Aristotelian thought has arisen once again. Who are the people of Flat Earth and what does their advocacy for such an absurd conspiracy theory say about the proverbial shape of our planet?